You'll never think of Top Ramen and Cup Noodles the same way again. Instant ramen is cheap, fast-cooking, and delicious. It’s the perfect inexpensive meal—right? In Malaysia and Indonesia, rainforests are cleared to make room for palm oil plantations, which lets carbon dioxide into the atmosphere and destroys crucial habitat for wildlife. Instant noodles are cheap, convenient, and popular, but today they’re mostly a threat to our planet. Two of the biggest instant noodles producers in the world, Nissin Foods Holdings and Toyo Suisan Kaisha (Maruchan), have failed to adopt a truly responsible palm oil policy or cut ties with bad actors that clear rainforests, peatlands, and abuse the rights of communities and workers in the palm oil sector. 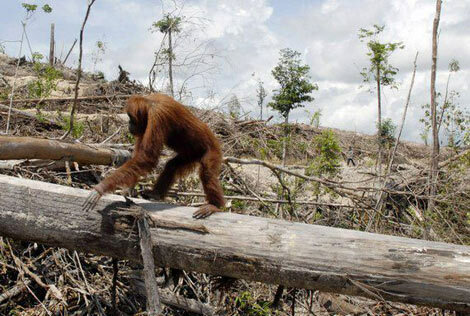 Salon points out that, according to The United Nations Environment Program, Indonesia is projected to lose 98 percent of its natural rainforest by 2022 due to palm oil expansion. Maybe it’s time to stop stocking the cupboard with Cup Noodles?